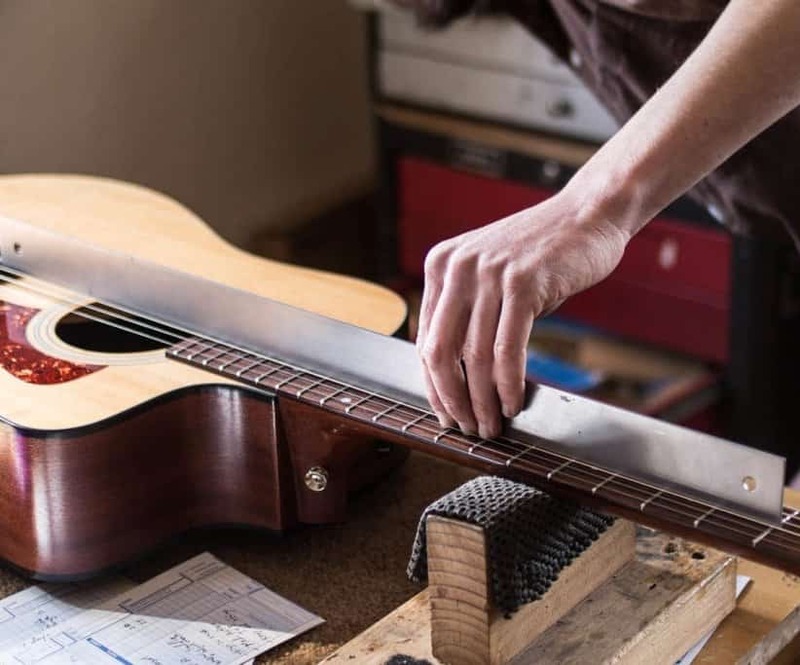 Have you ever had your instrument completely setup and customized to your individual playing style? 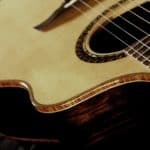 The Custom Sound Pro Guitar Setup will bring your instrument to a new level of playability and tonal response. Our modifications will enable your guitar to reach its fullest potential. When your guitar functions at its highest level, so can you. 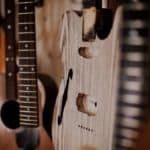 Our goal is to help you play better & enjoy your instrument more than ever before. Read about our setup process below. We charge a small deposit to initiate your consultation and quote. The deposit will be applied to your final bill. 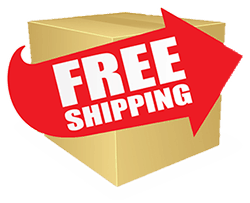 We’ll send you our pre-paid shipping box with shipping instructions after consultation. Select your instrument type and read the details below about our processes and objectives. Tired of fighting your guitar? 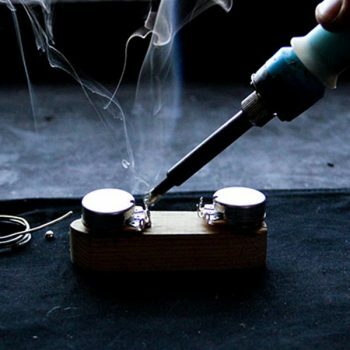 Want to achieve the maximum potential from your instrument? Our customized professional guitar setup produces amazing improvements in tone and playability. 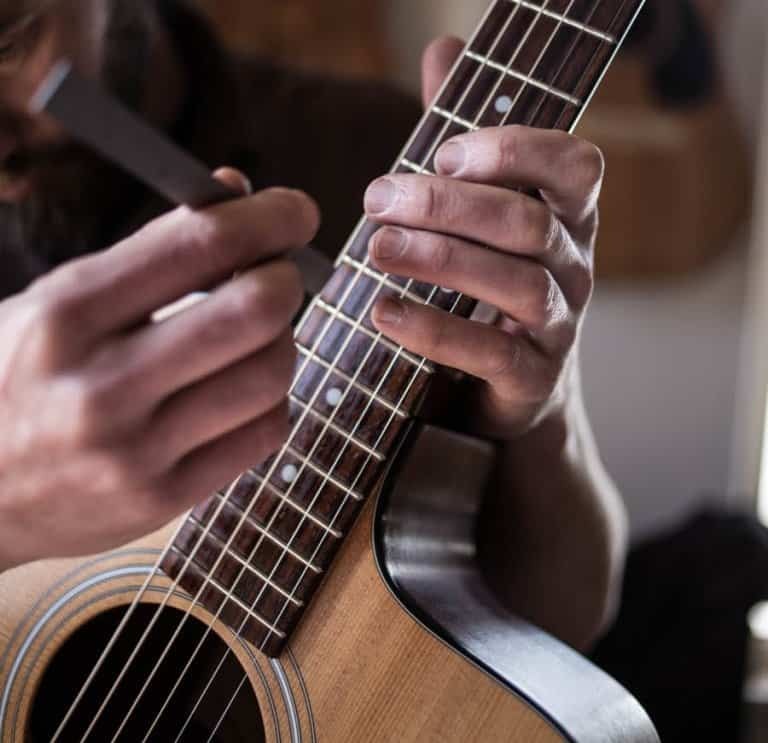 Through meticulous detailing at every action point, we customize the setup to your individual playing style, making your guitar play smoother and sound better than you’ve ever experienced. Guitar setups from the factory are rushed and not completely detailed. Instruments also shift over time, especially when new. Our complete Pro Setup includes detailed adjustments to the entire instrument, fret leveling and polishing, including fabrication of new parts like bone or graphite nuts and saddles for intonation corrections and tone enhancement. We set the neck relief, dress your frets perfectly, give your baby complete maintenance and conditioning, and so much more. Be sure to see the additional info tab above. 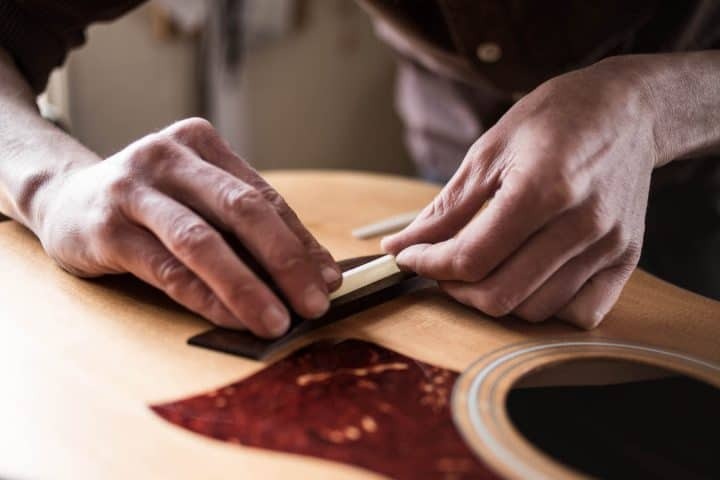 Perfect Fret Leveling & Profiling: leveled, beveled & polished frets for better action, intonation, tone articulation, less fret noise, smoother feeling neck edges. 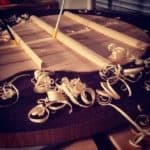 Intonation Corrections & Adjustments: fabrication of a new bone saddle and nut, customized and cut for intonation enhancements specific to your instrument and hands. 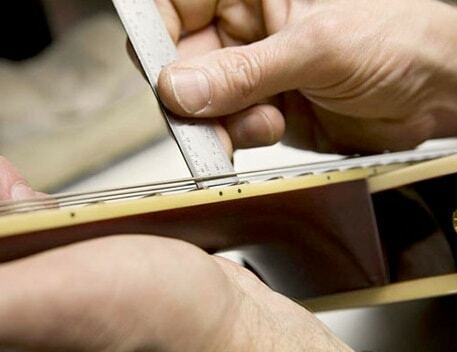 We even include saddle slot re-routing if necessary for better intonation placement at the bridge. Check the Additional Info tabs above for more details. Complete seating of all frets, leveling and crown filing, fret polishing, fingerboard conditioning, new bone saddle and nut (if necessary,) intonation corrections, re-routing saddle placement (if necessary,) neck relief & truss rod adjustments, set and balance action points, service & adjust tuners, new bridge pins (bone or rosewood), polish & buff body, restring, tune. 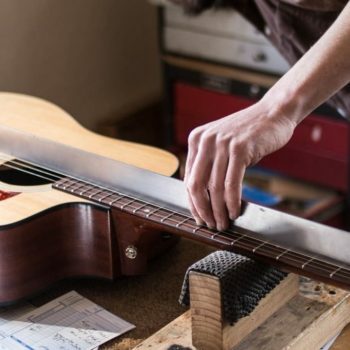 Other minor repairs may be included in this estimate, such as small cracks, loose braces, and even bridge plate reconstruction for proper ball-end string seating and tone. Complete seating of all frets, leveling and crown filing, fret polishing, fingerboard conditioning, new bone saddle and nut (if necessary,) intonation corrections, neck relief adjustments (if possible,) set and balance action points, service & adjust tuners, 12-hole tie block modification for increased break-angle & volume (if requested,) polish & buff body, restring, tune. Other minor repairs may be included in this estimate, such as minor cracks and loose braces. 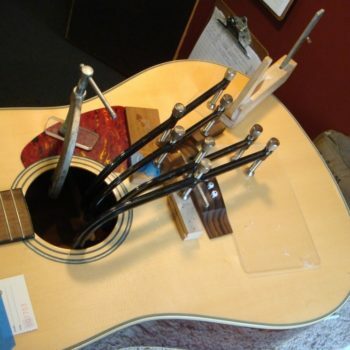 Complete seating of all frets, leveling and crown filing, edge beveling, polishing, fingerboard conditioning, new nut (if necessary,) intonation corrections, saddle adjustments, neck relief adjustments, set action points, service & adjust tuners, balance pickup outputs, clean electronics, replace components where necessary, polish & buff body, restring, tune. Other minor repairs may be included in this estimate, such as cracks, minor damage repairs, minor finish touch-ups, etc.